Lab Supply is proud to be a dealer of Bed-r’Nest Rodent Bedding. 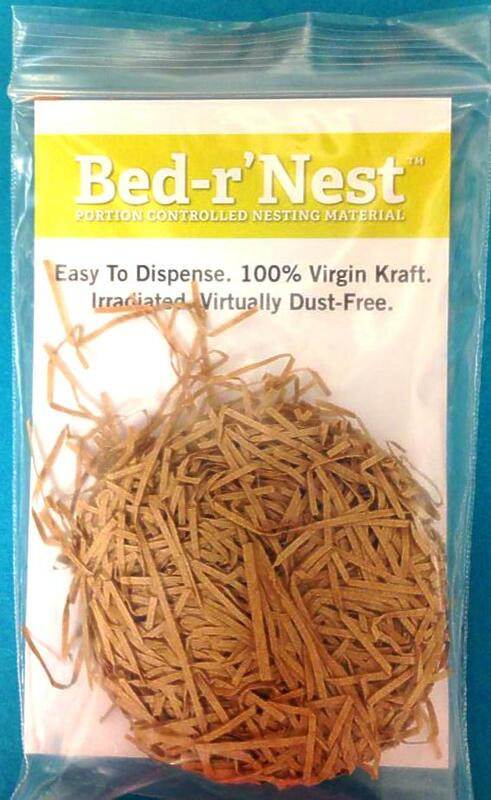 Bed-r’Nest is the perfect bedding for your rodent because it offers a number of great features and has many advantages over standard rodent bedding. This rodent bedding is easy to dispense because it requires no pulling or tearing and it can quickly be added to the cage. Bed-r’Nest is portion controlled so you can be sure that you are adding the same amount of bedding every time for your rodent. This bedding is made from 100% virgin kraft paper that is designed to resemble the natural nesting materials for rodents and is virtually dust free. It’s available in 4g for mice and 8g for rats and also comes in white for better visibility. If you would like to view more information on this product, then please click here to view the product page. Here at Lab Supply, we are committed to making sure you find exactly what you are looking for. If you have any questions about Bed-r’Nest or any other products we offer, then please click here to visit our contact page. We will be more than happy to answer any questions you may have.